The world of fascinating new ideas begins only when thinking departs from traditional paths: That“™s the world of the insider brand X-BIONIC®. With his revolutionary approach and high technological competence, CEO Professor Bodo W. Lambertz said, “Enough!“ in using old wisdom when it comes to functional apparel. 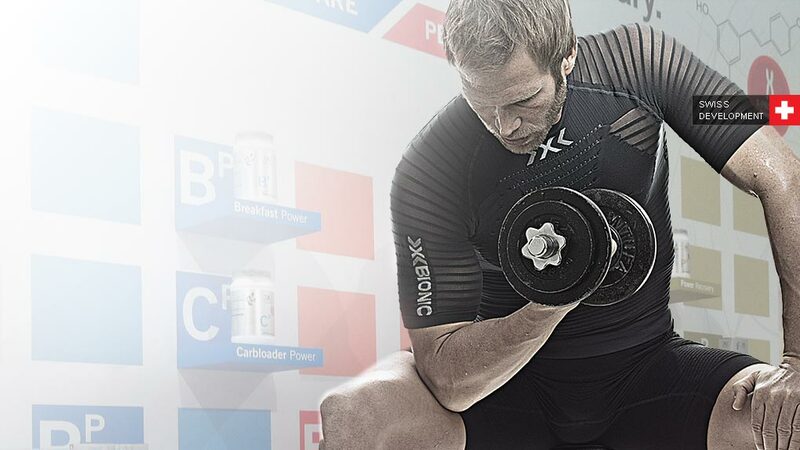 Traditional and limited concepts were replaced by the superior, radically reconceived and consequential ideas implemented in the outstanding technical apparel by X-BIONIC®. World champion innovator and designer in chief of the X-BIONIC®, X-SOCKS® and X-NUTRIO® brands. You learn the most from winners. Winners discover new ideas. Winners use their energy more intelligently. Winners think differently. Winners think like Prof. Bodo W. Lambertz. What makes some athletes more successful? For a comprehensive answer our researchers tuned into every parameter of the body. Superior. Even judged by the toughest jury. Maximum performance is the result of a superior strategy. The high-tech brands X-BIONIC® und X-SOCKS® prove how single-mindedly X-Technology pursues this strategy for success.